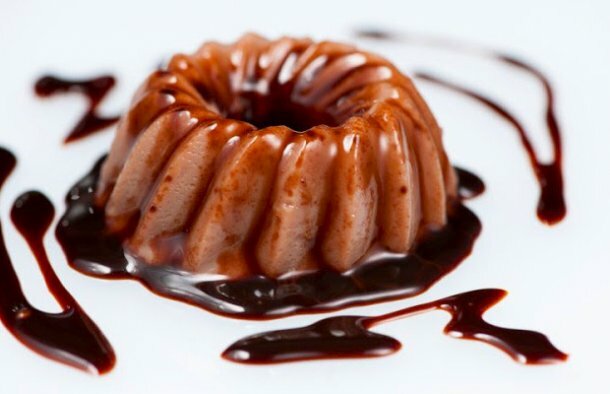 This Portuguese chocolate pudding recipe is very easy to make and it is delicious. Preheat the oven to 180ºC or 350ºF. Sread the liquid caramel over the pudding mold. In a blender, beat the eggs, condensed milk, chocolate and milk until a smooth, soft cream is obtained. Pour it into the pudding mold and bake it for about 40 minutes in a water bath. 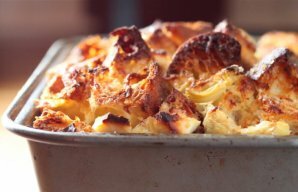 This Portuguese bread pudding (pudim de pão) is delicious, it has a chewy texture and a well browned crust, serve warm, topped with a scoop of ice cream. 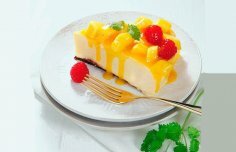 How to make Portuguese style mango fantasy dessert. Serve this delicious Portuguese style apple crumble recipe (receita de crumble de maçã) with a scoop of ice cream.